Do you suffer from dry hands or know someone who does? 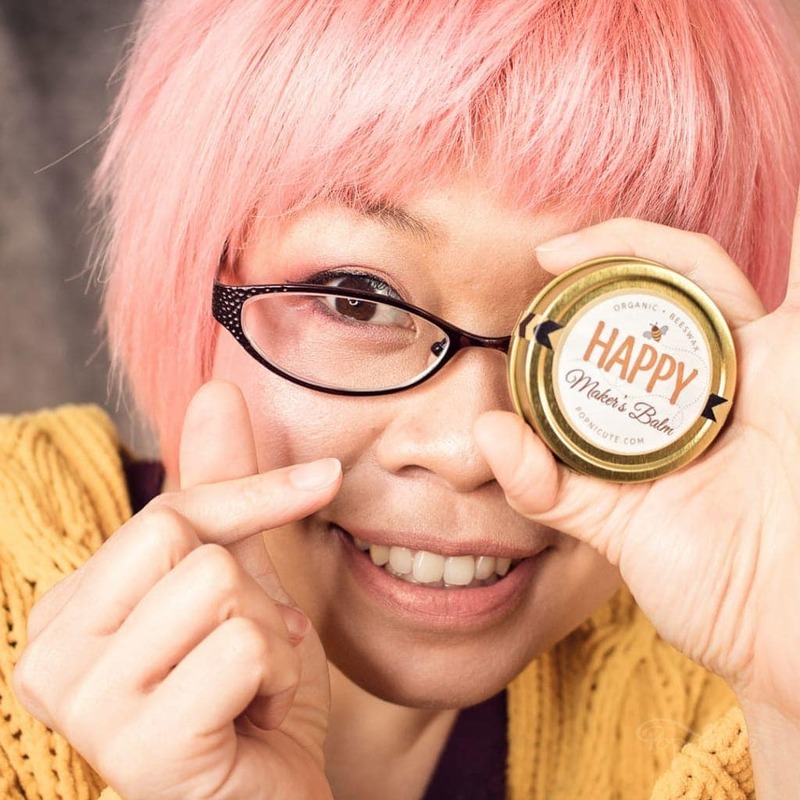 Happy Maker’s Balm Premium Beeswax Skin Salve is here to help! Handmade from premium organic beeswax from the local honey farm, this beeswax hand salve is made in USA. Dry hands is the number one offender when working with yarn. Jewelry makers like me love this exceptional hand salve as metal, dirt, and dust clean off easier on beeswax protected skin. 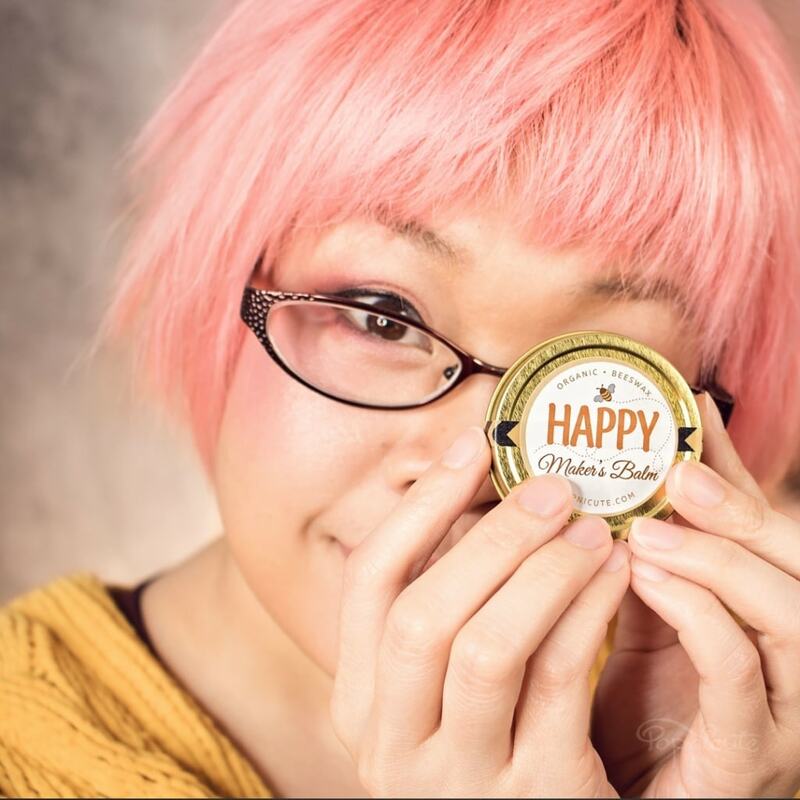 Happy Maker’s Balm Premium Beeswax Skin Salve makes a thoughtful gift for any creative hands-on person who works with their hands all the time. Apply this premium organic beeswax balm skin salve before bed on your face and hands to keep your skin soft and healing while you’re sleeping. Before working with your hands to keep them from cracking. After washing your hands when your skin feels tight and dry. Superior to soften dry patches, apply it on any dry skin surface of your body. New to Popnicute Jewelry, a premium organic beeswax balm skin salve to soften cracked dry hands, lips, elbows, and feet that’s extra moisturizing. Beeswax has antibacterial and healing properties that can soften cracked skin in a matter of days. As a maker, I constantly work with my hands and wash it many times a day. Without any moisturizer, my hands can easily get very dry leading to easily cracked skin especially during the harsh winter in Illinois. 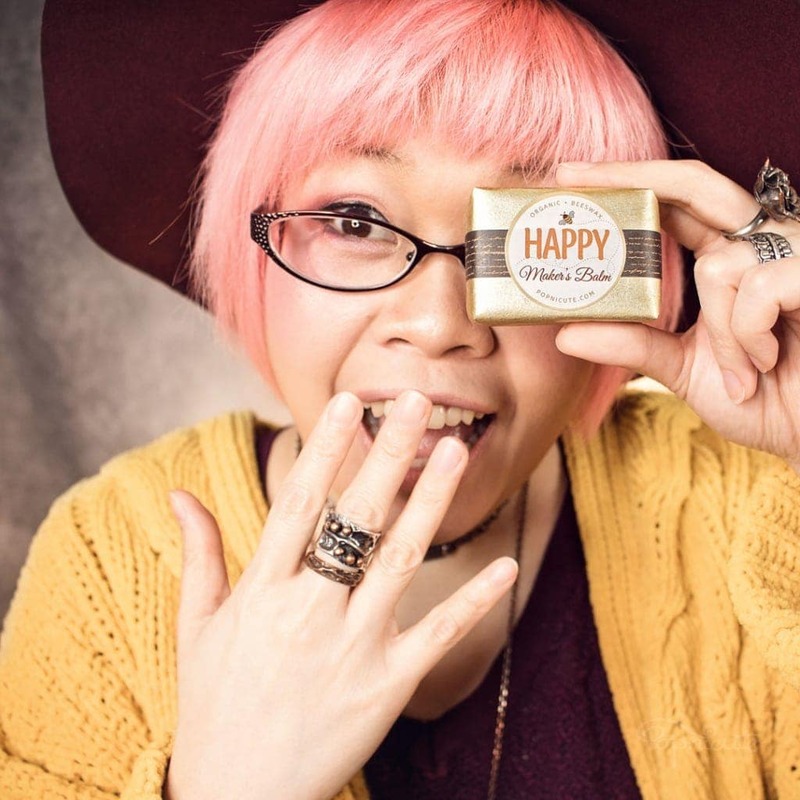 With this Happy Maker’s Balm Premium Beeswax Skin Salve, I noticed that my hands can go through a few washes without reapplying. The impermeable nature of beeswax helps the skin retain existing moisture from evaporating into the atmosphere, further preventing dehydration. When you wash your hands the first and second time with a regular hand soap, you will notice that there’s a thin layer of it that’s still lingering. Reapply after 2-3 washes. If you’re washing the dishes by hand, you may need to reapply right afterward as dish soap is a lot harsher and will strip any oil from your body. Many people I know are sensitive to smell or can’t wear anything with a strong scent for one reason or another. 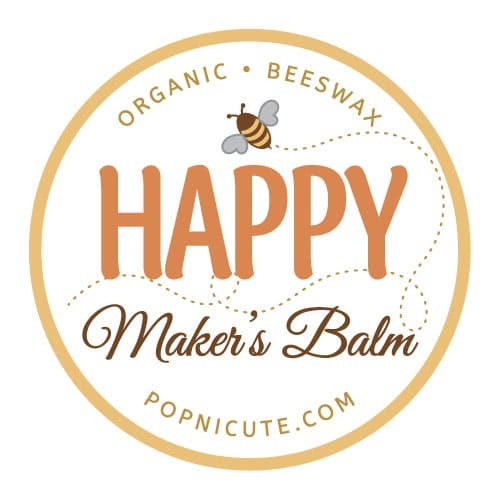 Happy Maker’s Balm Premium Beeswax Skin Salve has the sweet scent of honey from the beeswax. The scent is not at all overpowering. In fact, it’s so soft you won’t smell it for long after it’s applied to the skin. The beeswax is locally sourced from a bee farm in Quincy, IL. An all natural product made with only skin loving ingredients. As someone who is sensitive to smell, I’m happy to report that I haven’t had a headache caused by the smell of beeswax. YES: organic premium beeswax, coconut oil, olive oil, & vitamin e oil. 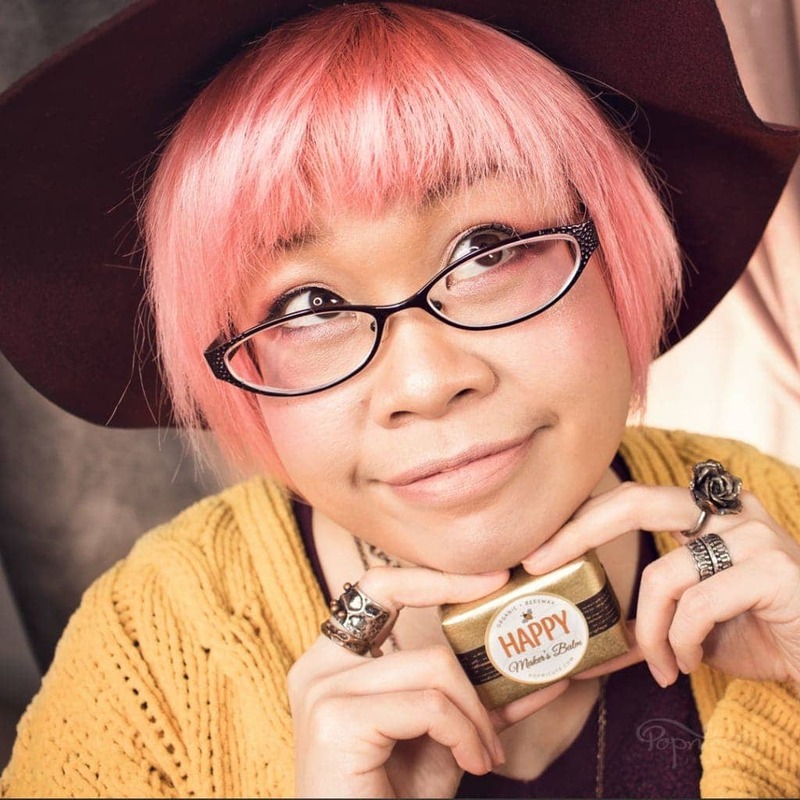 Happy Maker’s Balm Premium Beeswax Skin Salve is a premium hand salve that is 99.99% natural and organic with NO preservatives. Made from premium organic beeswax, coconut oil, olive oil, & vitamin e oil. It is good for lips, face, hands, elbows, feet, anywhere that needs deep moisturizing. Enjoy the sweet scent of honey from the beeswax. Who is this Beeswax Balm for? Anyone with a skin. 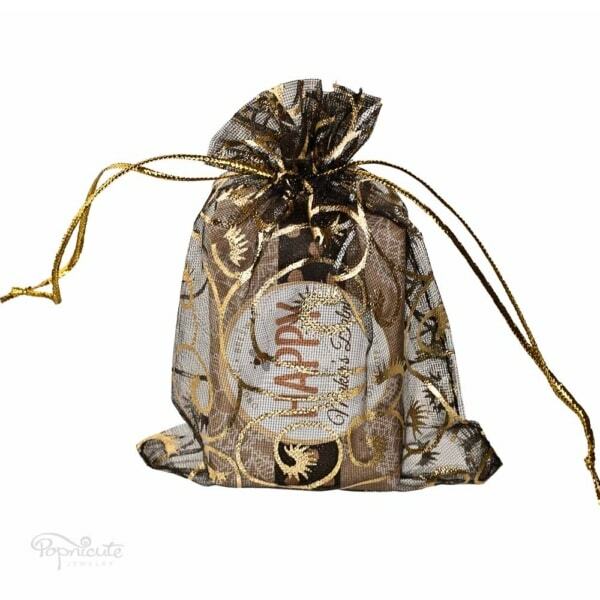 Women and men alike will love this product as it’s all natural with no strong smell. The tin can version is easy to slip inside a purse or a jean’s pocket. It’s a daily staple, all year long. 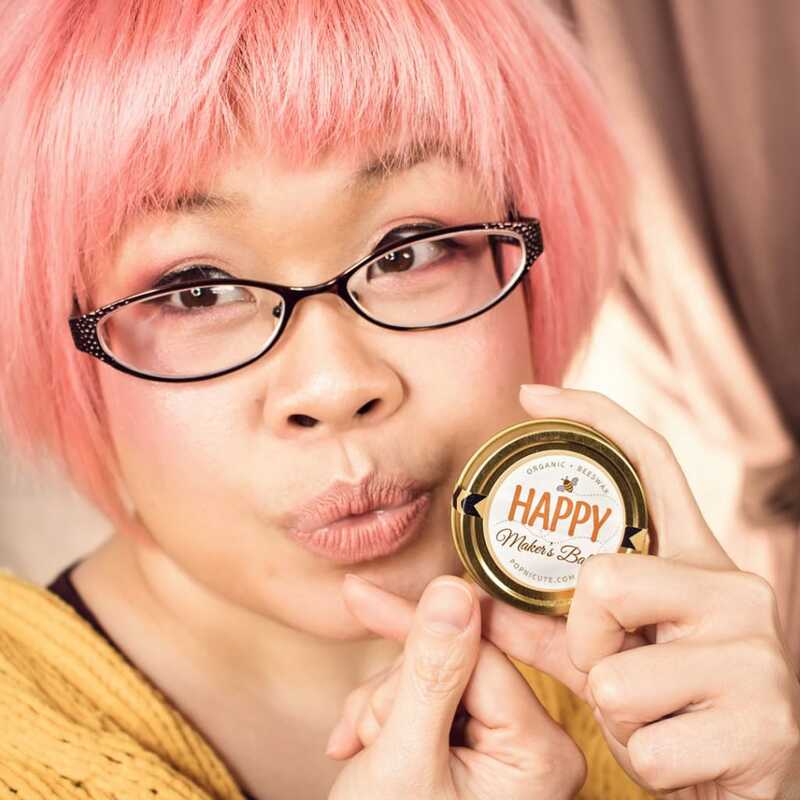 Any crafters and makers will love this balm. Having soft hands are essentials to anyone who work with yarn and/or soft and luxurious fabrics like lace and silk. When your skin is soft and supple, it’s harder to get scraped too. To Help with Psoriasis and Eczema. Beeswax is also known to help with psoriasis and eczema. Beeswax includes large amounts of oleate esters, hydroxypalmitate, palmitate, and palmitoleate, and it is formed almost entirely of chain alcohols and fatty acids. These ingredients blend to make beeswax a key natural treatment for maintaining skin texture and health. Beeswax also has several properties that effectively reduce the symptoms of eczema, leaving your skin vibrant and itch-free. The anti-inflammatory properties of beeswax effectively restore the vitality of the skin. The emollient properties of beeswax will soften and rejuvenate your dry skin. This beeswax balm premium skin salve will also protect the skin, giving it a clearer look characterized by the sheen of a robust appearance. Many worry that applying it directly to the skin will cause acne, but beeswax is proven to be noncomedogenic, so it will not clog pores. I feel like after I regularly used this balm on my face, my acne is smaller, not so bumpy, and rarer now. Dare I say that my complexion also looks more radiant and clear. Many natural beauty products use coconut oil in them. Not only is coconut oil superb in moisturizing and repairing skin, it also possesses antibiotic, anti-fungal, anti-oxidant properties; They help neutralize free radicals and stimulate cell growth. Phytonutrients and polyphenols, the tissue-protective properties of coconut oil, also act as antioxidants. All these properties make coconut oil a great moisturizer, help fight bacteria associated with skin infections, acne, and other troubled skin conditions. Vitamin E is an oil-soluble nutrient and is hence heavier than water-soluble products. It restores the lost moisture, and this is why it works best for a dry and damaged skin. Have you tried the Happy Maker's Balm Premium Skin Salve? Leave a review.